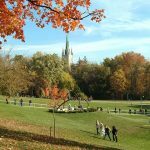 Halifax is surrounded by cool little towns, secluded long sandy beaches, and naturally incredible parks. 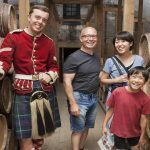 Visitors to Halifax are treated to a wide-range of exciting things to see and do, but getting outside of the city offers up a range of unique experiences that showcase the very best of Nova Scotia. 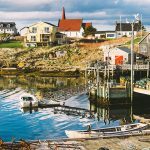 After spending the past decade living in and around the city, I heartily recommend renting a car for the day and taking one of these Halifax day trips. The South Shore’s Lighthouse Route takes you along winding coastal roads past beaches, dramatic rocky shores, and plenty of picturesque lighthouses. 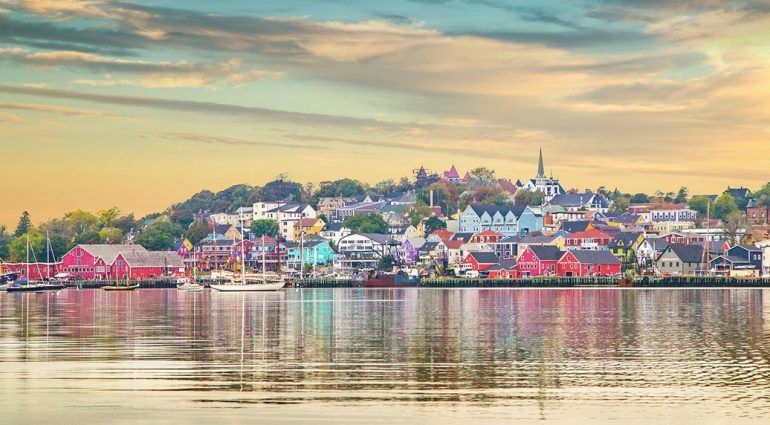 I suggest driving all the way down to the sweet neighbouring water-side towns of Mahone Bay and Lunenburg. In Mahone Bay I always go for cake and a coffee at the Biscuit Eater Café and Books, because their home baked goods are the bomb and they’ve got a sweet garden you can sit in. Jo-Ann’s Deli Market and Bake Shop is full of gourmet goodies and the perfect place to pick up all the essentials for a picnic on one of the many nearby beaches. Mahone Bay is famous for having three historic churches next to each other on the bay, and throughout the summer there’s a lovely classical music that runs in them. 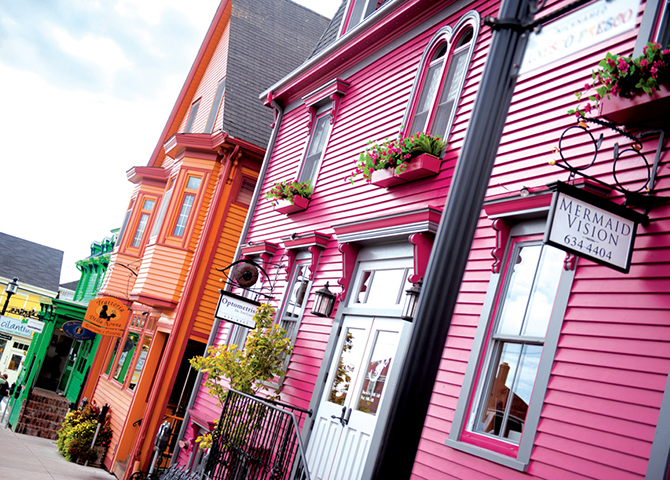 Lunenburg is a designated UNESCO World Heritage Site because of the brightly painted gingerbread house style buildings throughout the town, and you’ll want to walk the backstreets to see more homes in that same style. 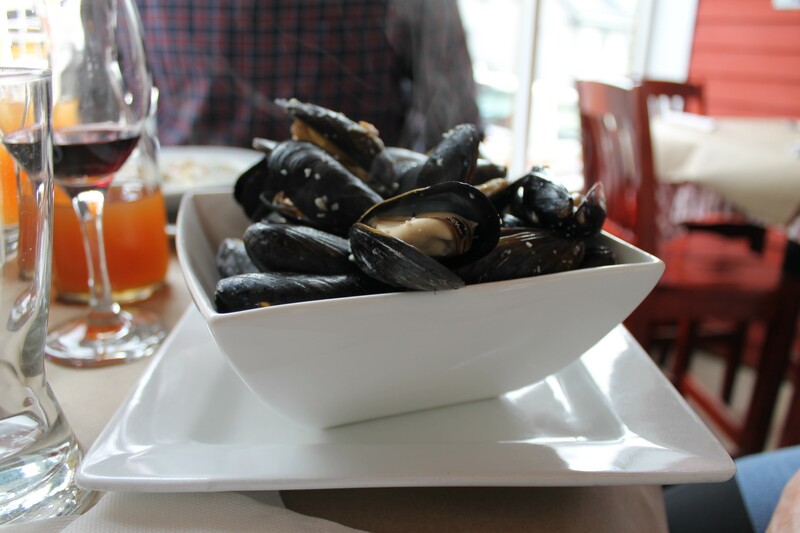 Try the chowder at the Salt Shaker Deli or the fish ‘n’ chips at the Grand Banker, which also has a great selection of craft beers. You’ll definitely want to sample the rum and artisanal spirits at the Ironworks Distillery, which is housed in an old blacksmiths forge right on the Lunenburg waterfront. 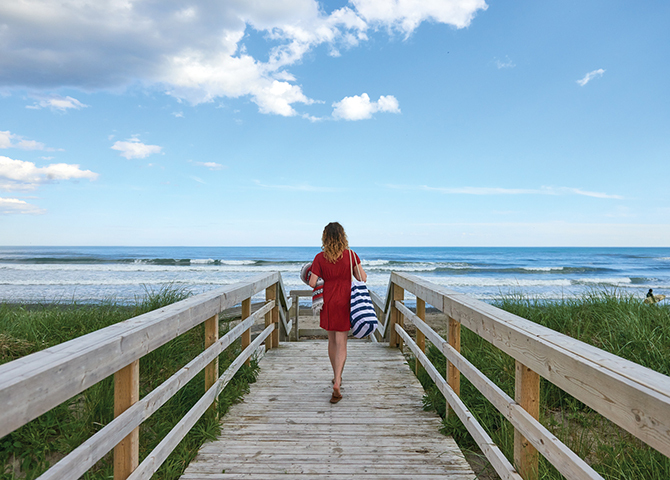 Not many visitors head north from Halifax to check out this shore, so going there feels like you’ve discovered a secret part of the province. The Northumberland Shore has fantastic white sand beaches where, because the shore faces PEI instead of the open Atlantic, the water is considerably warmer. 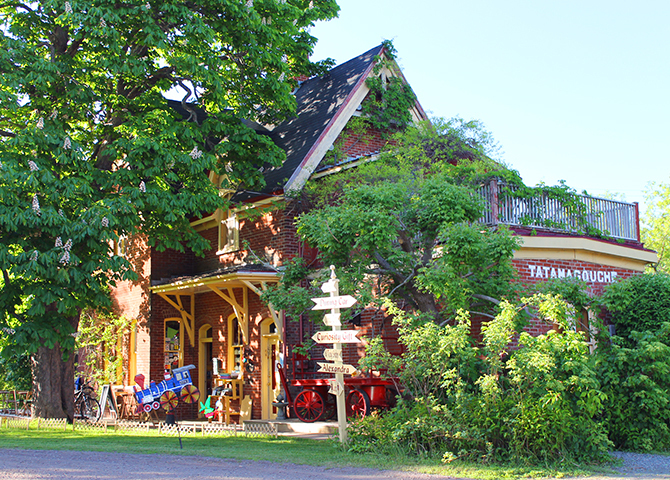 Tatamagouche is home to the positively charming Train Station Inn, which is made out of converted train cars and has an award-winning restaurant and sweet little café filled with railway memorabilia on site. There’s also a farmers’ market in the converted dairy buildings at Creamery Square, as well as yarn store and other artsy boutiques. And when the Tatamagouche Brewing Company started up in 2014, it upped the hip factor of this small town on Nova Scotia’s Northumberland Shore. 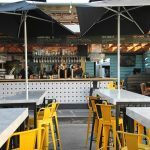 Its tasting room is a fun place to hang on a warm summer evening. 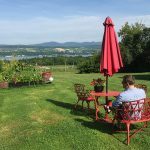 Just outside of Tatamagouche is the Country Bread Basket, a Mennonite bakery and café that serves up the best lobster rolls and delicious pies. Also close by is Seafoam Lavender Farm, where you can walk the fragrant fields and pick up all kinds of lavender treats and gifts at their store. Way down on the south shore past Lunenburg is Kejimkujik National Park and Historic Site, home to Mi’kmaw petroglyphs and amazing hiking through beaches, bogs, and forest. The park is also a great destination for a night-time visit, as it is home to Nova Scotia’s only dark sky preserve. It also happens to be a favourite spot of Canadian darling Sarah McLachlan. The beaches at Keji (as the locals call it) are stunning, with powdery white sands fringing the turquoise waters, framed by imposing granite outcrops. 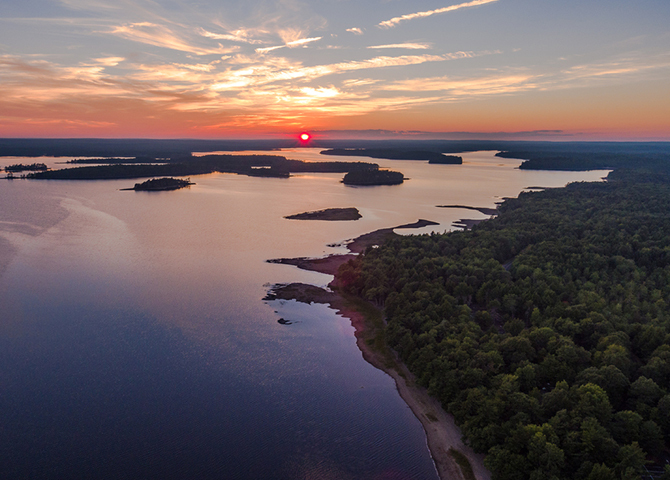 Parks Canada offers several guided experiences that allow you to connect with the Mi’kmaw heritage and history of the park, as well as a program of activities that includes cookouts and beach yoga. 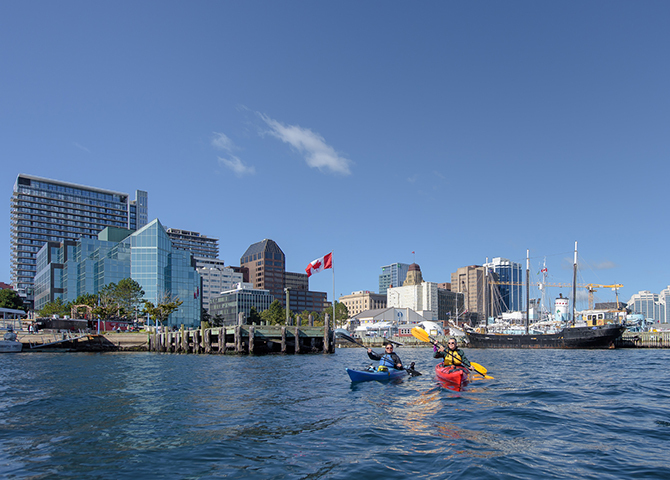 Getting out on the water is pretty much essential when you’re visiting Canada’s Ocean Playground (as our license plates proclaim us to be) and there are a number of really cool ways to do that through kayak tours and rentals. Despite being in Halifax Harbour, you do feel miles away from the city when you make it to McNabs or one of the other harbour islands and lighthouses that are home to wildlife, ghosts (allegedly), and interesting ruins. There are also options for kayaking further afield if you really want to get out in nature. Coastal Adventures takes you out on the rugged Atlantic Shore to explore the many little islands to the east of the city. There you’ll be taken out past seabird colonies and through kelp beds in this unique archipelago, unlikely to see anyone other than your guide and fellow kayakers. There are many beautiful beaches around Halifax, but Martinique, a 5k crescent of white sand is a firm locals’ favourite. There’s so much beach that it never feels crowded (even at the peak of summer). Tip: Martinique can get a bit windy so I tend to avoid it on the breeziest days. On the way home, we always stop at Harbour Fish N’ Fries (just by the road that leads down to the beach) because the seafood there is amazing: huge portions of fish and chips, and the fried clams are excellent. I could go on — there are so many amazing places to discover outside of Halifax and even after living here for a decade I’m always finding more — but this is a good start. Be careful though, I came for a weekend and stayed for a lifetime! One visit to Halifax and I ended up moving here because I fell in love with the people and the natural beauty of the area. Just make sure to have a return ticket in hand, you’ll probably be ok.